The Georgia Libraries for Accessible Statewide Services, also known as GLASS, has provided the Nancy Guinn Memorial Library with equipment for individuals who are blind, visually impaired, or those whose physical abilities require the use of books and magazines in audio format. 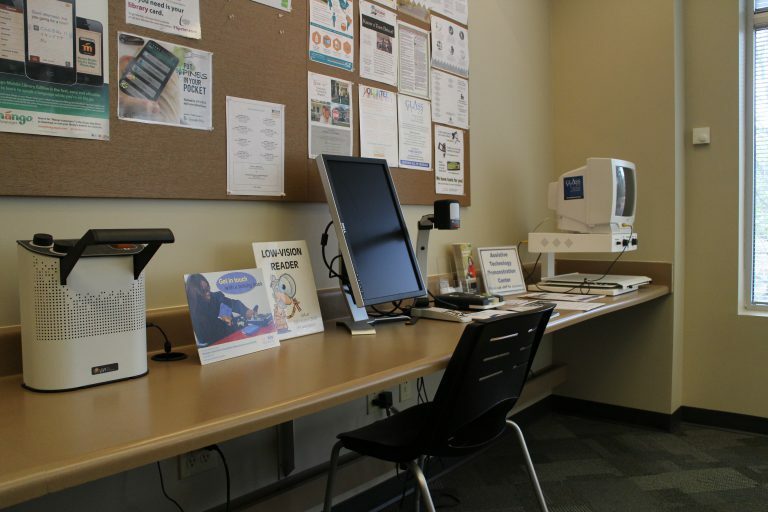 Located in the Adult Services Department are several different types of equipment to assist visually impaired patrons. We currently offer the following. Low vision readers allow patrons to magnify text to a larger degree than a traditional magnifier. These readers not only allow patrons to enlarge the print they also give patrons the ability to change the color and contrast of the text. Text to speech readers allow patrons to have a physical copy of a book read aloud to them. The ability to have any physical book read aloud gives patrons access to more titles than other audio devices. Hand-held digital magnifiers give patrons the ability to magnify the text they are reading from anywhere in the library. 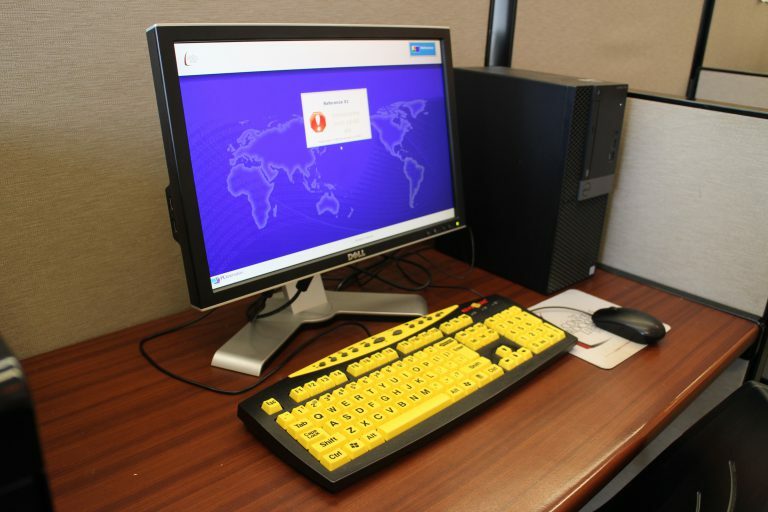 Large print keyboards assist visually impaired patrons with using the library computers. The large print keyboard dimensions are the same as traditional keyboards, but the text on each key is enlarged for easier use.